Climbing at the gym doesn’t require as much of your gear as you need for climbing outdoors at the crag. You don’t have to be prepared with supplies for a long day out in the wilderness, and you don’t need to bring all your quickdraws, trad protection, or other outdoor pieces of gear that you may have collected for specific climbs. If you simply boulder at the gym, all you really need to bring are your climbing shoes and a chalk bag or chalk pot. 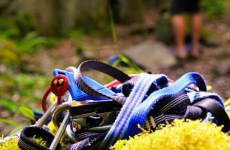 You might be bringing your harness and a water bottle too, and some smaller climbing accessories like climbing tape and extra chalk. If you bring a rope to the gym for lead climbing, you may also have a separate rope bag or tarp, allowing you to carry the rest of your climbing gear separately. Some climbers use a shorter rope for the gym that doesn’t take up as much room in a bag. The best packs to bring to the gym can be much smaller than the packs you would need to bring to the crag. They don’t even need to have backpack style carry straps, as you won’t always be carrying it up a long hike to get there if you’re driving to the gym or only have a short walk. All you need for the gym is a simple, durable pack that has easy access to all your gear. 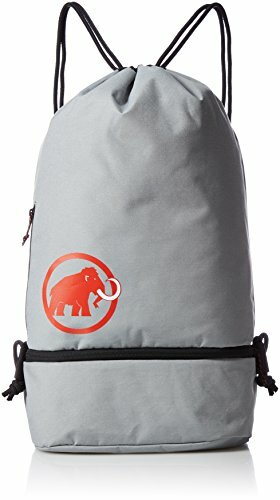 A lot of these packs are also great as day packs to take along on short hikes. Let’s take a closer look at our top 5 favorite gym bags that were created to be well-suited for carrying your climbing gear. The Metolius Gym Bag is not a backpack but a messenger bag style gym bag with a long padded strap. It also has two convenient grab handles so you can quickly and easily pick it up to move or stash it. It has one good-sized 28 Liter compartment that is more than big enough to store all your gym gear. There is also a zippered pocket on the outside that has a sleeve and a key clip inside, perfect for storing your keys, phone, wallet, and other small odds and ends. 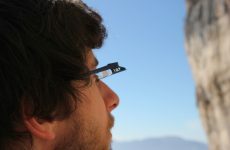 The material is bright and colorful, and it is made of nylon which makes resistant to most water-based stains. 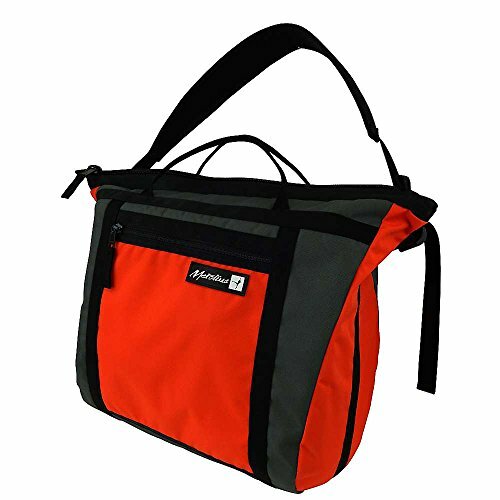 It also has a rugged feel at the same time as being lightweight and easy to tuck into your locker or cubby. The Black Diamond Gym 35 Gear Bag is a roomy messenger bag with a wide top opening that has an easy one-handed pull-string closure. There is a lot of room for all your gym gear inside the main compartment, big enough to carry your rope. It also has an elastic pocket inside where you can securely stash items so they don’t come loose inside the larger area. There is a zippered enclosure on the outside for safe storage and easy access to your smaller items like keys and cell phone. The durable polyester material has a sleek coating that makes it easy to keep clean as chalk and dirt brushes off easily. It has a very clean and unique look. 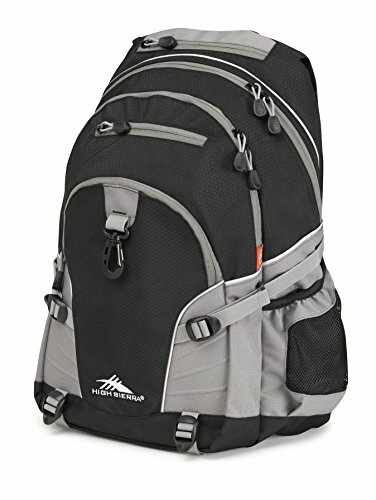 The High Sierra Loop Backpack is a durable multi-purpose backpack that suits the climbing gym. There are many different interior pockets for those that prefer to keep all their gear separate rather than in one big space. There are also many exterior zippered pockets including one in the front with slots for your cellphone, wallet, and a built-in key ring. There are side mesh pockets perfect for carrying your water bottle. In addition to all the internal and external pockets, there are even extra gear straps at the bottom of the bag, so you can strap extra items to the bottom if you find there isn’t enough room. There are even side compression straps to shape your bag depending on how much you carry. Our favorite feature of this pack is the gear loop on the back that comes complete with a little carabiner to easily attach things to the outside – perfect for airing out your shoes after your climbing session. 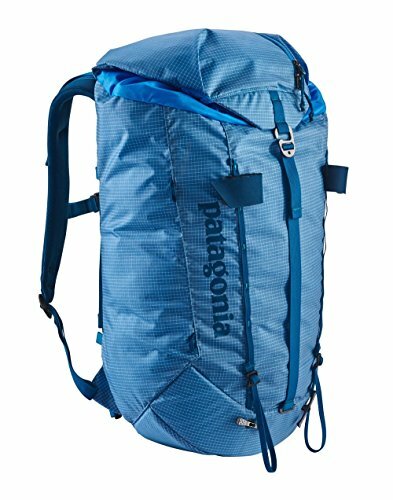 The Patagonia Ascensionist Pack is a serious alpine backpack, but is a great backpack-style gym bag, especially if you bike or have a long walk to the gym. It is ergonomic, has a removable hip belt, sternum strap, and compression straps as well. The features on this backpack are amazing. The one-handed drawstring closure is easy to use, and the top opens up wide into and asymmetrical shape making access to your gear very convenient. 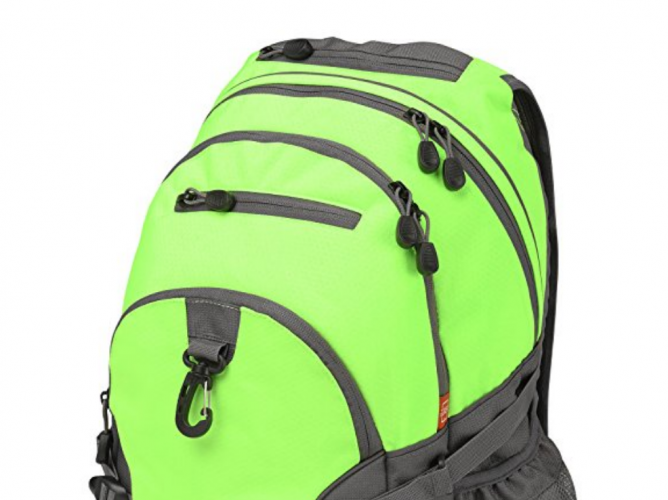 In addition to the roomy interior, this pack has a zippered pocket on the lid for quick access to small items as well. There is a removable foam pad on the inside, which you can use for hiking but take out to give you more room and a smaller footprint for the gym. There are multiple hooks on the outside, as well as a daisy chain strap with bottom loops, so there is so much gear you can attach to the outside of the pack too. While this backpack is admittedly a lot pricier than our other favorites, it is so well-made and versatile that you can easily use this one pack for both the gym and all your outdoor climbing trips. The Mammut Magic Gym Bag is an innovative solution to keeping your chalk separate from spilling onto the rest of your gear. The bottom of the pack is a separate compartment with a removable and refillable chalk bag inside. 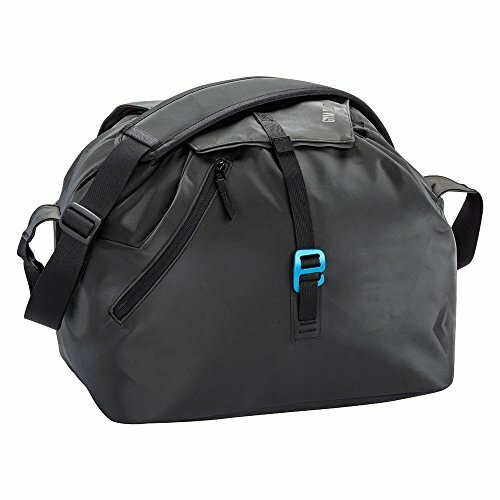 It has a large single pocket to store all the rest of you gear, and a convenient drawstring closure that attaches to the backpack-style straps to use for easily carrying it to the gym. This pack is lightweight, easy to carry, and very convenient. Its best feature is the included chalk bag with the dedicated area to prevent spilling into the rest of your gear. Chalk stays at the bottom and everything else stays clean. 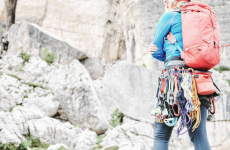 If you’re still looking for the perfect pack to bring to the climbing gym, we really don’t think you can go wrong with any of these options. If you currently use any of these, let us know what you think of it!